Loved your newsletter for the last 9 months. Glad to hear your family is settling into your new house & the boxes are being unpacked. Based upon your colorful and anecdotal descriptions of your family visits here, I talked my family into spending our family reunion week here on beautiful Anguilla. Everything you've described has been accurate, insightful, and incredibly helpful to me and my siblings. We Did Elvis' beach bar @ Sandy Ground, Shoal Bay East snorkeling & Ernies, The Roti Hut, Crocus Bay... Drove to have Pizza @ Arawak tonight and are going to Little Bay tomorrow. We would hate to have to leave L'Embellie too soon and miss out on Meads & Barnes bays, the Straw Hat etc. WE DON"T WANT TO LEAVE, WE JUST NEED SOME HELP. Anything you could do to assist us in this difficult moment would be greatly appreciated. Nori's Reply: It sounds like you having a wonderful time, hitting all the big names! :-) I am sorry to hear about your mother... I am in no place to be giving medical advice, but our family sees Dr. Clyde Bryan. He is located in the Atlantic Star Center. Their phone number: 264 497-0765 I wish you all the best! Enjoy the rest of your trip. Although our local hospital is small, it has a good staff of doctors and nurses that can handle most medical emergencies and a pharmacy on the premises that provides medication. I would not hesitate to go. Perhaps an exam and antibiotics would solve the problem. As a resident here, I have been to the emergency room myself and was quickly seen by a doctor and have full confidence in our hospital. Anguilla Spa and a Bite! Is the Malakh Day Spa still open for business in Anguilla? I would like to get a facial when I come. If not, have you ever tried Massage Ossia Esthetics? I wanted something different than a facial at a resort. Also, where is a good place to grab a bite to eat when we arrive at Carimar? We probably will be tired when we get to the hotel and want to stay close. We will have a rental car. Nothing too expensive. Thanks for your help. It will be our first time in Anguilla... can't wait. So glad to have stumbled across your site! Nori's Reply: I am embarrassed to admit that I have never been to a spa anywhere, not even in Anguilla! But I have heard that Malakh Day Spa is simply divine. This Anguilla spa offers a wide variety of massages and treatments, as well as facial treatments and pedicures/manicures. Their gazebo is on Shoal Bay East, one of the best beaches in the world, and so relaxing. I haven't heard much about Massage Ossia Esthetics. Please let me know how your Anguilla spa experience goes, I would love to hear more about it! One of our favorite Anguilla restaurants is right on Meads Bay, just a walk down the beach from Carimar Beach Club, Straw Hat. It is a more expensive option, but truly beautiful. If you decide to dine there, you might want to make reservations ahead of time. 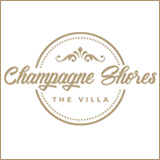 Other great restaurants near Carimar Beach Club are to be found! One of the best, more inexpensive, Anguilla restaurants is Roy's Bayside Grill on Sandy Ground. It's a short drive (10-15 minutes), but the atmosphere is relaxed, right on the beach, a nice variety of English favorites (their fish & chips! ), and it won't really break the bank. Try their roast beef on Sundays! Update: Joyce visited Malakh Day Spa. Unfortunately the spa has been closed indefinitely. Comments for Anguilla Spa and a Bite! Let me first say that your website is incredible!!! Really, it's been so helpful in planning our first Anguilla holiday. I can't even tell you how much we're looking forward to it! Like you, we also hail from the Great White North of Canada; we live in Braeside, Ontario.... about 30 minutes west of Ottawa. 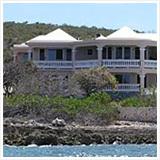 We'll be arriving in Anguilla on Boxing Day, then staying for a week at Karen Greenaway's "Petite Maison d'Amour"! That means we'll be spending New Year's Eve on the island, which, I'm certain will be amazing! I'm wondering if you might have any suggestions on how to best spend the evening? Or perhaps you have some recommendations for specific restaurants that may "do it up," on New Year's? We're early 40's in age (yikes!! ), so we're not really looking for a totally wild party or anything like that. Typically, here at home, we'll spend New Year's with friends at one of our favourite restaurants....kinda low-key, but we're certainly not opposed to some excitement! Anyhow, If you have any suggestions or recommendations, I'd certainly appreciate hearing about them, but no pressure. Regardless of what we decide to do, we're very happy to be spending the time on an island paradise and not the cold and snowy surrounds of Ontario! I look forward to hearing back from you when you find some time. Nori's Reply: Thank you so much for your kind words, Jay. Canadian winters are all too familiar to me. ;-) How blessed we are to be able to swap the "Great White North" for a little heat & sunshine from time to time! New Year's is a fun holiday in Anguilla. Last year my sister and I ate dinner at Ferry Boat Inn and then headed down to Sandy Ground to Pumphouse and Elvis' for drinks and celebrating. A part of me wishes I had tagged along with my parents to Trattoria Tramonto in Anguilla's west end though. They saw St. Martin's fireworks from across the calm sea and had a lovely, relaxing meal. Click here for more information on Anguilla New Year's Eve parties. "Petite Maison d'Amour" looks like such a sweet villa. 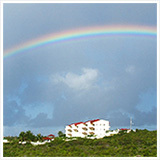 I would love to hear all about your Anguilla travels when you return. Have a wonderful and safe trip, and a very happy new year! By now, I suppose, a number of your followers have learned of the demise of David Shnittlich, co owner of Mango's restaurant, but few details have been released. Any news? Nori's Reply: Yes, I did hear the sad news. There have been many stories going around the island, but so far I do not know what really happened. My sincere sympathies go to his family and close friends, he will be missed. 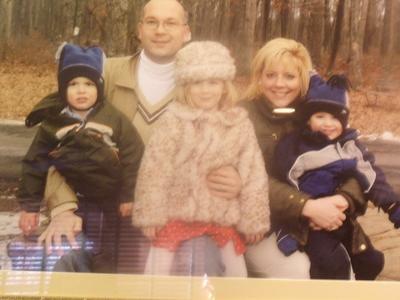 Dave Schnittlich died of a blunt force trauma to the head. There was no machete or any other weapon involved. Circustances are still under investigation. Please do not listen to the speculations of others. It is a difficult enough time for family members without this nonsense. When David's son knows the facts, I am sure he will share them with the public. Until then, please allow David to rest in peace. I have heard Mango Dave was murdered by machete. The island has become much more dangerous I have been told. it so unreal that Dave has passed away, I will miss him terrible. He was my friend and I hope you wil get to the bottom of this tragic incident. 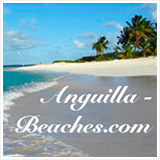 I read your Anguilla web site often and enjoy your great stories. 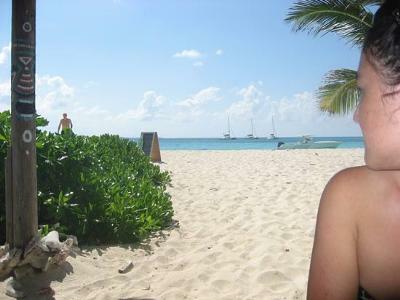 I visited Anguilla with my fiance about a year ago and fell in love with the island and its people. We loved it so much that we decided to get married there! During our visit, we did not go to Sandy Island but it sounds like a great place to have a private party which we are considering. Have you been to Sandy Island? In particular, have you been there in the evening? Is there electricity, music, bathrooms? Just wanted to get your opinion! Nori's Reply: Thank you so much for your kind words. Your Anguilla wedding must have been pure magic! Sandy Island Anguilla is certainly worth the cost. We made Sandy Island one of our final stops on a day at sea with Gotcha! Anguilla boat tour. What a great choice! There is no electricity on the island, so all of their food is grilled on an Anguillian BBQ, the side dishes kept in coolers. We had BBQ crayfish, which was fresh and succulent. The sides included coleslaw, salad, and pasta salad. Delicious. Because the island doesn't have electricity, they don't have blended drinks, but what they do have more than makes up for it. Try their "Bay Breeze." Their bathroom facilities are small and basic. 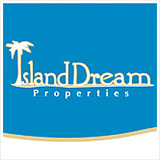 You will have to inquire about the possibility of hiring the island for a private party. I'm sure it can be arranged, but I haven't heard of anyone doing it in the past. Generally though, you will have the island practically to yourself. I don't remember there being music when we went, but there is a live band on Sundays. I have not heard of anyone visiting Sandy Island at night. They open at noon for lunch. They are open six days/week. Just discovered your site and love it! It will be of great help as we plan our trip to Anguilla. One question - is there an animal shelter or SPCA on the island? Nori's Reply: Judy, thank you for your nice words! There is an animal shelter on the island called AARF. 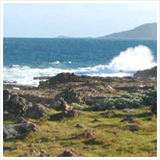 It is located on the main road near Long Pond in the east end of Anguilla. My sister volunteered there in the summer of 2009. The organization takes in stray dogs and cats. They give them their shots and have them spayed and neutered. When my sister volunteered her job was to bathe them and play with them (tough job playing with puppies! He he!) so they were used to human contact. AARF is a great organization, really dedicated to helping animals. Have a wonderful trip! AARF has a wonderfully big yard sale every year as a fundraiser and we locals love it! Yard sales are so fun and this one is well organized, even with goodies and drinks. Muriel's fudge is to die for and you can find so many treasures to buy. AARF has t-shirts and other things to sell to help raise money for the animal care. We locals appreciate Morlen's Veterinary Hospital and AARF and Dr. Vanterpool, our veterinarian. 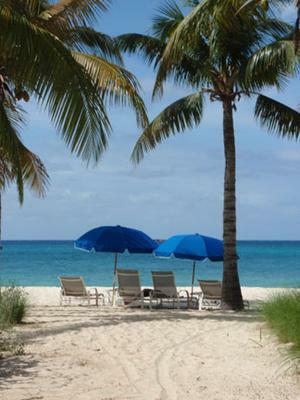 How To Hire A Nanny For Anguilla Vacation? We're coming to Anguilla for vacation in a few months. We've rented a house in Island Harbour. I was wondering how I could secure an aupair/nanny or mother's helper, (a good high school kid would be great). It's mostly to be with us on vacation. Enjoy the beach, play with kids etc., so we can safely take our eyes off them (ex., take a nap or go in swimming). Nori's Reply: Your villa management agent is the best person to use (concierge for those staying at a hotel). As far as I know, there's no nanny service on the island (might be a good business to start up, though). 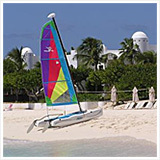 Comments for How To Hire A Nanny For Anguilla Vacation? I am sorry, but no I do not live there. I live in the states. But if you ever need a vacation nanny at a different time that is convenient for you, keep my email! Best of luck to you! Theresa, Do you live in Anguilla? 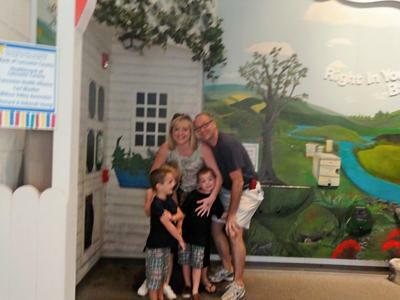 We are hoping to find a nanny that lives there to save on some expenses. We will only be there for 5-7 days. Thanks. Hello, my name is Teresa and I have been a nanny for three different families and been a camp counselor for the past three summers. I have been caring for children for over eight years. If you are in need of a vacation nanny, you are more than welcome to email me to further discuss the position. I can provide you with wonderful references. Thank you and good luck in your search. If you find out more about a nanny there, I'd like to know. We are planning to go in June 2011. I have been having fun going through all the cool stuff on your website. Thanks for all the important information! My wife and I are going to Anguilla for the first time soon. I would love to get my hands on a map of Anguilla like your Dad picked up from the Land & Survey people so I can plan our every move before we go (or at least try). This is going to be a holiday to remember, I just know it! So I don't want to spend a ton of time looking around for stuff once we get there. Can you let me know if this is in any way doable? I made this map of Anguilla using Google's software. It shows just about every dirt road on Anguilla... perfect for exploring! I will add more "highlights" as I think of them. I hope you and your wife have a beautiful vacation. It certainly will be one to remember! Thanks Nori - I'll get on it! How Do You Pronounce Anguilla? We have a debate with another family who we visit Cap Jaluca with. We pronounce the name of the island like the word vanilla,; they leave out the L. What is the correct pronunciation? AN-GWILL-A (accent on the 2nd syllable and rhymes with vanilla). AN-GWILLA is how to pronounced "Anguilla." Comments for How Do You Pronounce Anguilla? I think I've been pronouncing Anguilla wrong for years now. Is it "Ang-weeeeee-la" or "Ang-will-a"? Nori's Reply: Great question, Frank! Never fear, you're not alone in mispronouncing Anguilla's name. A lot of us get it wrong on the first try. Does anyone have any automobile license plates from Anguilla? I have many different ones for trade or can purchase. I am looking for people with an interest in Anguilla license plates and the history of Anguilla registration plates. I collect these as a hobby. 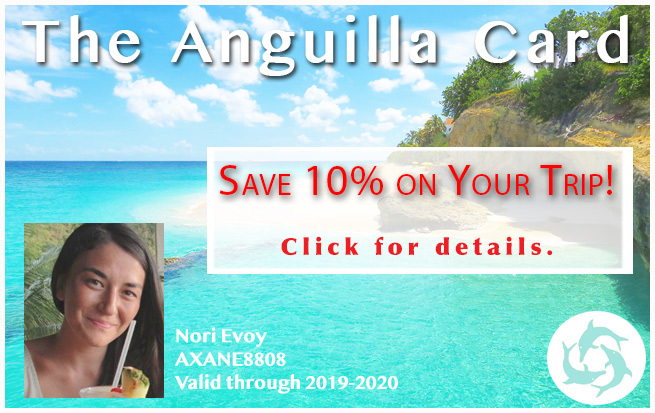 You'll find some Anguilla license plates over on the Anguilla Souvenirs page. 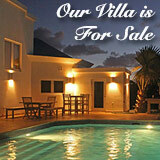 Click through to the eBay link from the Anguilla Licenses section for a greater selection. Also, when you're on island, drop by auto repair shops and ask. They likely have some and they'll certainly point you in the right direction! After researching Anguilla and seeing that there are limited activities there for health & fitness, I was wondering, do they have anyone to conduct classes at these resorts? Classes like Beach Boot Camps, Aquatics, Pilates and Yoga, Kid Fitness, etc. I'd love to spend the winter there and introduce my expertise to the area and wondering if the market is saturated or who to even talk to? Any comments or ideas? Nori's Reply: I am not involved any fitness activities in Anguilla really, but I know many people who do exercise classes at Louis Price and Malliouhana Spa. Good luck! I'm trying to find cheap restaurants in the West End of Anguilla. Do you know any? We're staying at Blue Waters Beach Apartments. Do you know any grocery stores nearby too? I'm curious about prices of food. And just curious about getting around the island if we do not rent a car. Is there any kind of service around the island for locals? Can we drink the water or should we buy the water? Nori's Reply: Linda, Blue Waters is sooooo serene! You will have a great stay here. The views of St. Martin, the sand and sea right outside of your door... aaaaah! In terms of restaurants, some affordable options in West End Anguilla include Blanchards Beach Shack, Picante, B&D's BBQ (located inland of Meads Bay and open on weekends - they are arguably one of the best BBQs on the island and pretty cheap!). There is one grocery store, Foods 95, just a short drive from Blue Waters. They have a smaller selection of items and they are more expensive than other grocery stores on the island, like Albert Lake's (in the Valley) and Best Buy (in the East End). Click here for more on Anguilla grocery stores. If you would like to experience other parts of Anguilla, and explore areas nearby to Blue Waters, you may want to rent a car. Taxis can get expensive and there is not a local transportation system. Water is potable, but we always use bottled water. 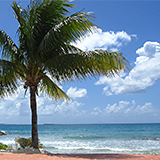 How long do you think it would take to go from the port in St. Maarten to Cap Juluca? We got married there and are thinking of taking a disney cruise and bringing our kids over when we make that port of call. They dock from 8am to 6:30 pm. Is that enough time? (A few hours is never enough time in Anguilla:), but with small kids, it might be a good compromise). Nori's Reply: Ooooh! Your wedding at Cap Juluca must have been a beautiful. Cap Juluca is such a special setting for Anguilla weddings. Yes! I certainly think that is enough time to get from St. Maarten to Anguilla and back. Ferries leave every 30-45 minutes from the French side of the island (St. Martin) at the port of Marigot. From the Dutch side (St. Maarten - where cruise ships dock), to the French side, it is about a 20-30 minute drive (if traffic is on the heavier side - if traffic is clear, it is much shorter) and costs $18 for two people. 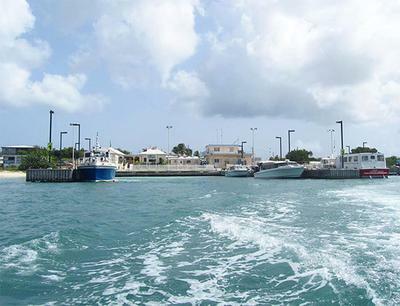 Time your departure to make one of the ferries over to Anguilla. Click for the Anguilla ferry schedule. If you want to spend lots of time in Anguilla, leave early enough early to catch the 9:45AM boat. You will be in Anguilla by 10:05 and on the beach by 10:30. I would turn around earlier in the afternoon in time to catch the 3:00 or 3:45 boat. You will be in St. Martin (Marigot) by 3:30-4:15, and with traffic, back to the boat in St. Maarten by 4:00-4:30 at the latest. That gives you enough time to lounge on the beach, snorkel, explore and have some lunch in sunny Anguilla. Living in Anguilla, we often find ourselves in the other position, where we are visiting St. Maarten for the day from Anguilla. If we leave our house at 10am and catch the 10:30 ferry to St. Martin, we are always on the Dutch side by 11:15. We spend a few hours for lunch and shopping, and are always home in Anguilla by 4 or 4:30pm, rarely later than that. Another Tip: If you have enough people, you can also organize a private charter. 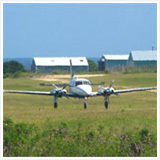 They will pick you up on the Dutch side and bring you back from Anguilla at a time you specify. They are highly reliable, but more expensive. Click here for more on charters in Anguilla.